Think of these as a natural antibiotic for your mouth. Onions contain antibacterial properties that can cut your risk of tooth decay and gum disease. It’s easy to add them to your diet. You can use them in salads, sandwiches, soups, etc. Try red or green onions for a delicious alternative to the traditional white variety. You can also sauté them for a milder taste. Fresh veggies are among the healthiest foods you can eat. But it’s important to steer clear of starchy items like white potatoes and green peas, which can actually increase your risk of dental problems. Opt instead for leafy greens like cabbage, spinach, and kale. Other good choices include carrots, celery, and broccoli. It’s best to eat these foods raw or minimally processed. Skip sugary salad dressings and try oil and vinegar instead. This delicious drink has powerful anti-inflammatory properties, which helps to protect not only your gums but all of your body tissues. Remember to use a non-calorie sweetener instead of sugar or honey. You can also get your green tea benefits from nutritional supplements if you prefer. Oranges, lemons, limes, and grapefruits are some of the delicious examples of this vitamin-packed family of super foods. The natural sugars found in fruit are less likely to cause tooth problems than the processed variety used in packaged desserts. Citrus fruits are high in vitamins, fiber, and other nutritional essentials. Lower-fat versions of milk, cheese, and yogurt contain not only calcium but casein, a protein that protects tooth enamel. Look for brands of yogurt that are high in protein and have no added sugars. These contain lentinan, which protects against plaque formation. You can sauté the mushrooms or simply chop them up and add them to your favorite dishes for a bit of exotic flavor. 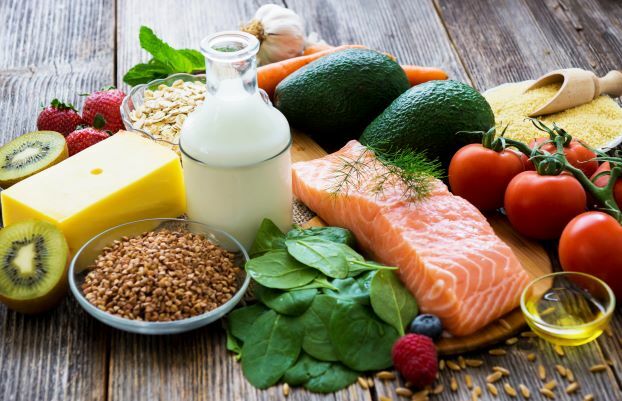 These contain plenty of omega-3 fatty acids, which promote clean arteries and proper blood flow to all parts of your body, including your teeth and gums. Not only that, but these foods help to keep your teeth clean in between brushings. Enjoy them by themselves or as a delicious ingredient in salads and other healthy foods. These are packed with protein yet are low in harmful saturated fat. They are an extremely versatile menu item that you can bake, broil, or grill. Try tuna burgers for a tasty alternative to ground beef. Good nutrition is essential to any fitness plan. The foods in this post will not only promote good gum health, they’ll help you to enjoy more energy and a better quality of life overall. What better way to lay the groundwork for a happy and successful 2019? Dr. St. Clair has been practicing dentistry in Massachusetts for over 20 years. He earned his dental degree from Tufts University School of Dental Medicine and is a proud member of the American Dental Association (ADA). You can reach his office online or by calling (978) 948-2030.